Clarksville, TN – Hilltop Supermarket hosted its 23rd annual Easter Egg Hunt on Saturday, March 31st, 2018 with food, face painting, inflatables, games, and one of the biggest egg hunts in town. Jackson says it takes a while to put that many eggs out, but they’re all gone in a matter of minutes. Hilltop Market hosted its annual Easter Egg Hunt, this year with more than 10,000 eggs placed on the lawn. 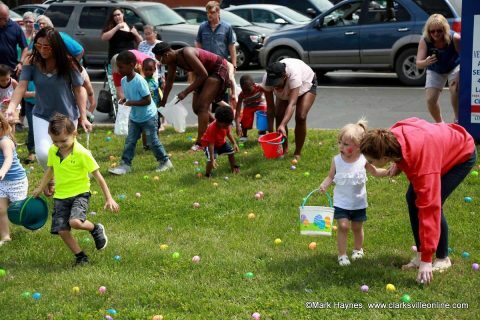 Clarksville, TN – On Saturday, March 31st, 2018, Hilltop Super Market will hold their 23nd Annual Easter Egg hunt. 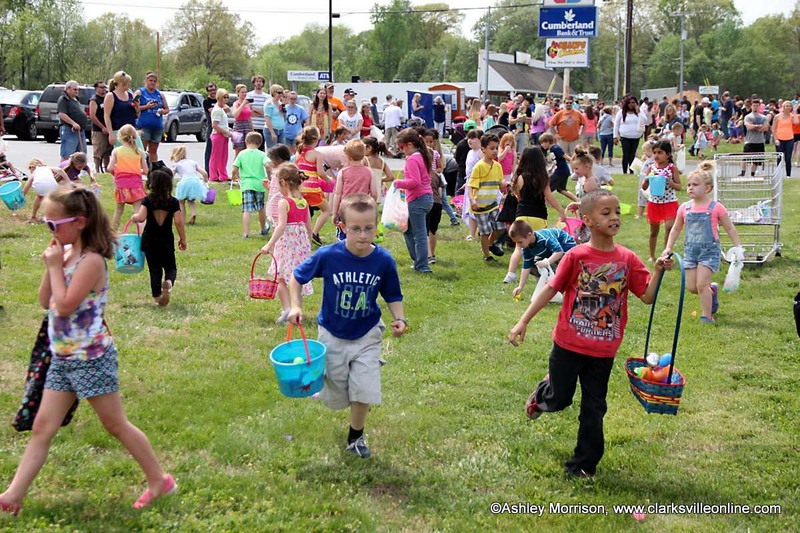 Festivities will begin at 11:00am with the egg hunt starting at 2:00pm sharp. There will be games, cup cake decorating, inflatables, face painting, bounce houses, food, fun and prizes for children of all ages. Best of all, Everything is free. 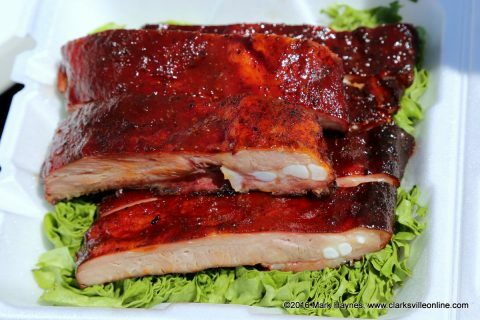 Clarksville, TN – Hilltop Super Market will host the 2nd annual Dwayne Byard Memorial BBQ Cook Off and Car Show this Friday and Saturday, May 6th and 7th. This event is being held in honor of Dwayne Byard who past away two years ago. 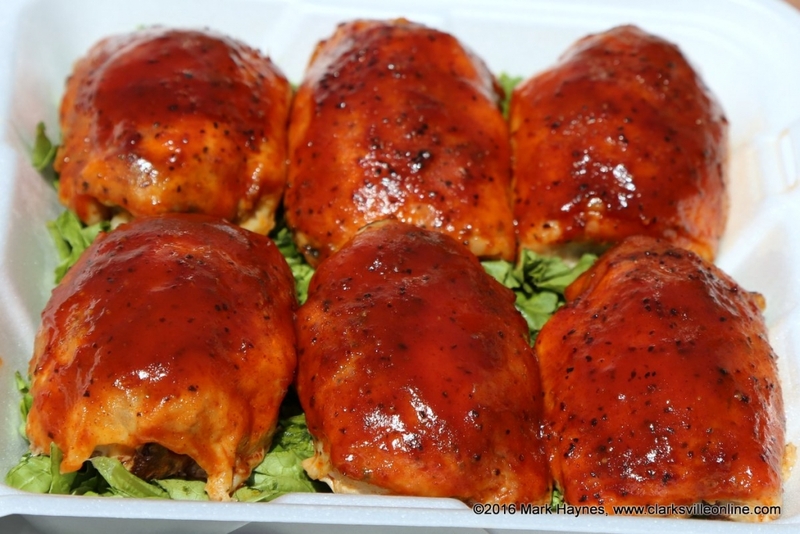 Friday night is the car show with live music and the BBQ Cook Off will be on Saturday. 2nd annual Dwayne Byard Memorial BBQ Cook Off and Car Show to be held at Hilltop Super Market this Friday and Saturday, May 5th and 6th. Clarksville, TN – Hilltop Super Market held their 22nd annual Easter Egg Hunt on Saturday, April 15th, 2017. The weather was nice and warm with a cool breeze that kept it from being hot. 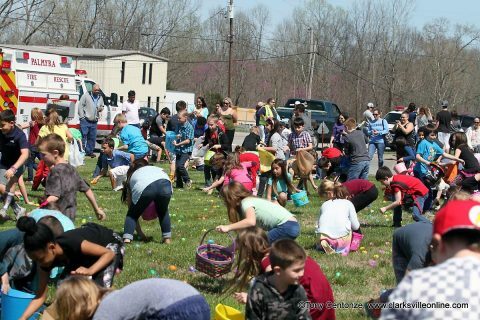 The event kicked off at 11:00am and the Easter Egg hunt began at 2:00pm. There were several different activities for everyone to enjoy. There were inflatable bounce houses provided by U Jumpin’ Foulks, face painting done by Montgomery Central High School Cheerleaders, cupcake decorating, a duck pond, and other games. Clarksville, TN – Hilltop Super Market will hold their 22nd Annual Easter Egg hunt on Saturday, April 15th, 2017. 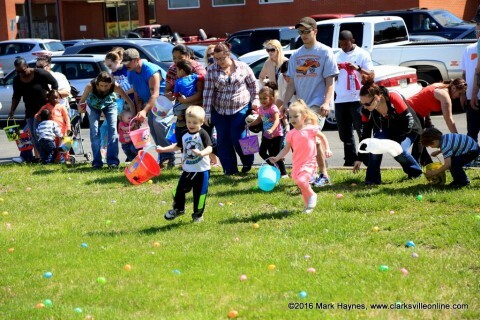 Festivities will begin at 11:00am with the egg hunt starting at 2:00pm sharp. 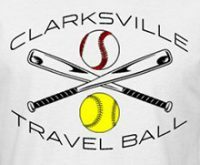 Clarksville, TN – On July 30th and 31st, 2016, seventeen teams descended on RichEllen Park to compete in the Hilltop Super Market Moving-Up travel ball tournament presented by Clarksville Travel Ball and USSSA. Players from as far away as Illinois and Mississippi participated. Full Throttle headquartered out of Dyersburg, TN won the 14U Fast Pitch division. Paducah Storm won the baseball 10U division. Clarksville’s own Clarksville Orioles-11U team won the 12U division. 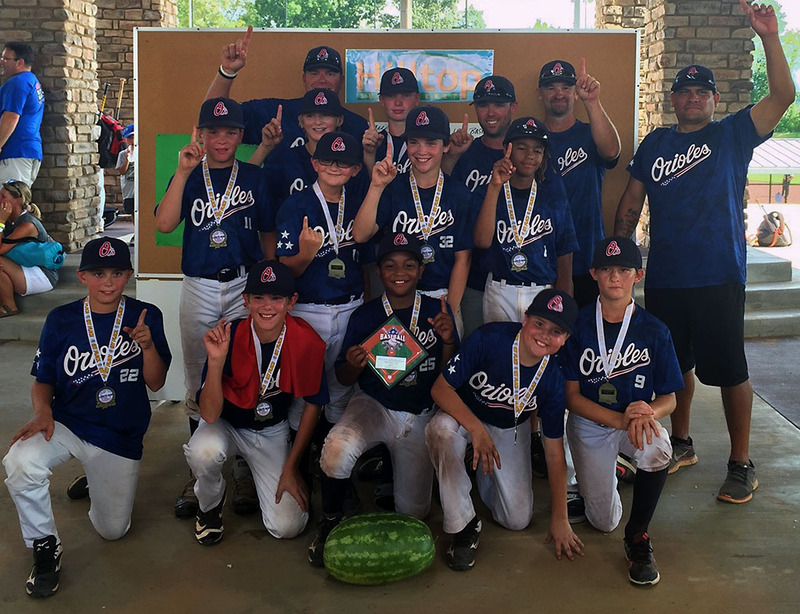 The Clarksville Orioles-11U team won the 12U division at the Hilltop Super Market Moving-Up travel ball tournament. Cunningham, TN – Last Saturday, July 30th, 2016 the 2nd annual “Be More Like Wade Scholarship 5K Run/Walk/Crawl” was held at the Montgomery Central Schools in honor of Wade Morgan. The race began at 8:30am. 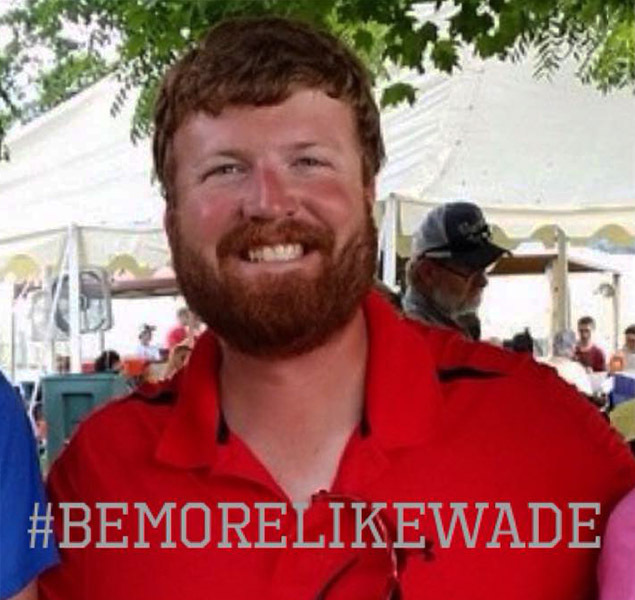 All proceeds go into a scholarship fund which will be given to a Montgomery Central Senior who demonstrates similar characteristics of #bemorelikewade. He exemplified the true meaning of a genuine person by being a selfless individual and always having an optimistic outlook on life. 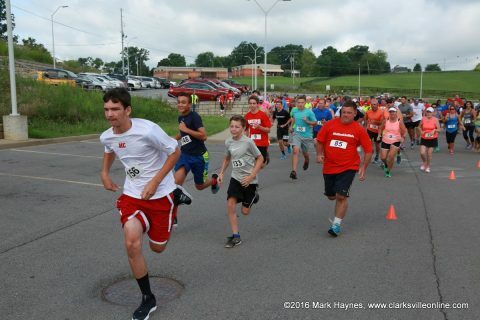 The second annual Be More Like Wade 5k Scholarship Run/Walk/Crawl was held Saturday, July 30th, 2016. 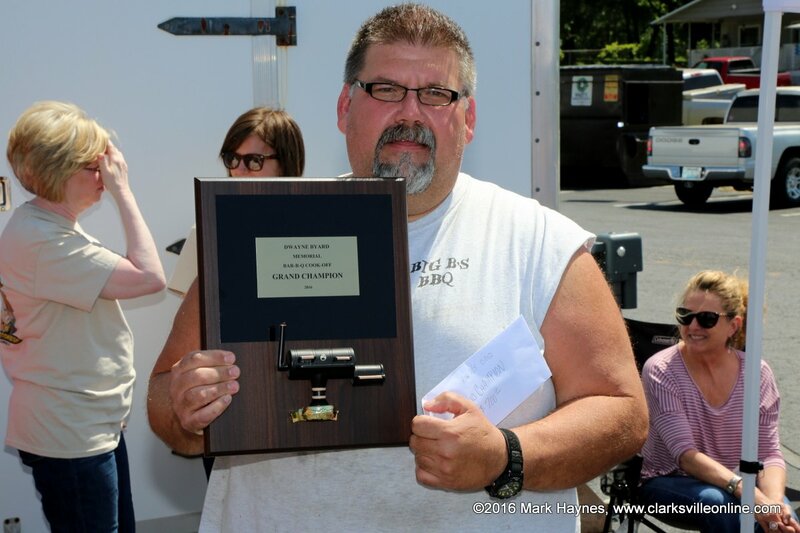 Clarksville, TN – Saturday, May 7th, was a great day for the Dwayne Byard Memorial BBQ Cook Off held at Hilltop Super Market. It was warm with a cool wind. Great weather for the event. The smell of rich, sweet smoke was in the air. The aroma of grilling meat set your mouth to watering. 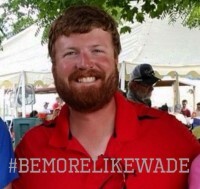 The cook off was held in honor of Dwayne Byard who past away last year. Proceeds from the event are going towards a scholarship fund for Dwayne’s grandchildren. Brian Morrison with Big B’s BBQ won Grand Champion at the Dwayne Byard Memorial BBQ Cook Off that was held at Hilltop Super Market, Saturday. 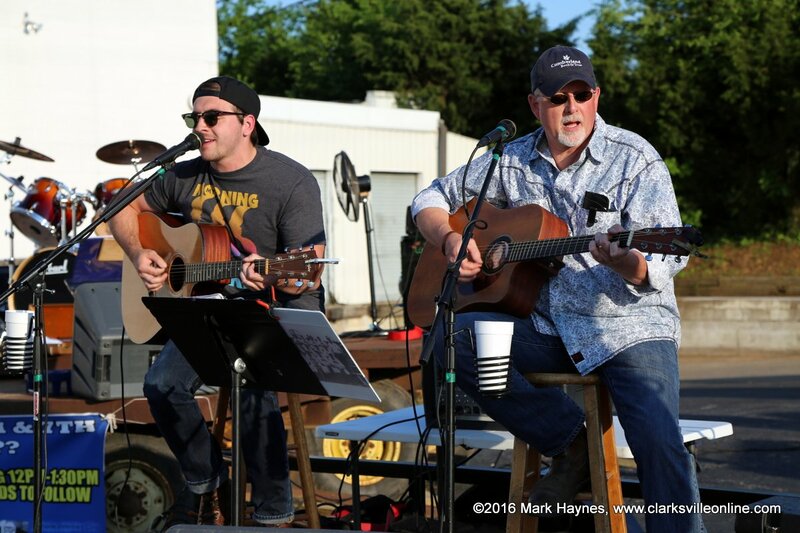 Clarksville, TN – Hilltop Super Market’s Dwayne Byard Memorial BBQ Cook Off and Car Show got started Friday night, May 6th. Over forty cars from Corvettes to Chevrolets to Mustangs were on display. Several hundred people came by for the event. Back Lot Pickers playing at Hilltop Super Market’s Dwayne Byard Memorial BBQ Cook Off and Car Show, Friday night.